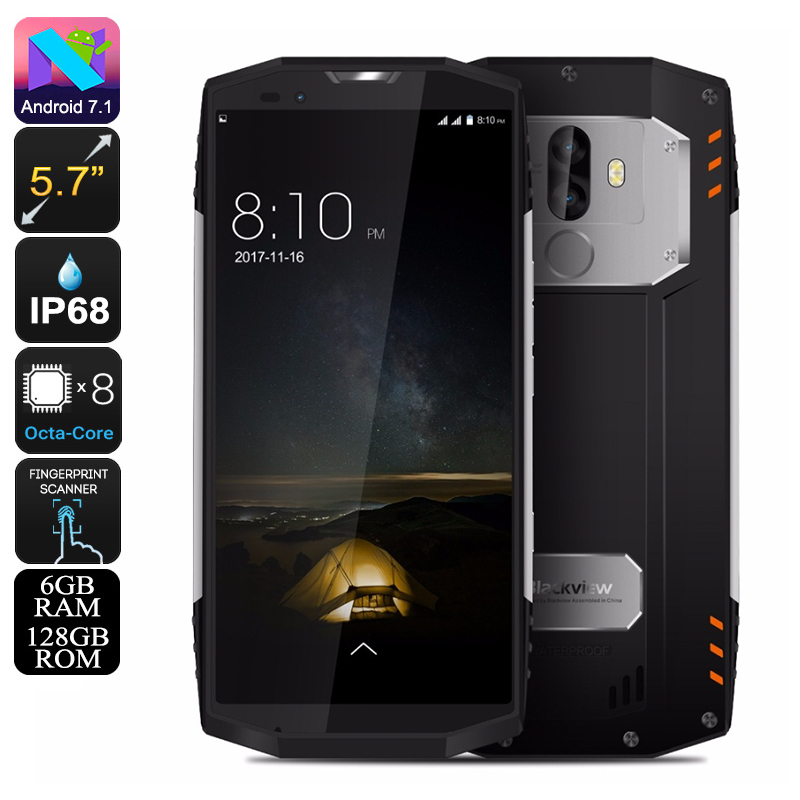 Successfully Added HK Warehouse Blackview BV9000 Pro Rugged Phone - 13MP Cam, 6GB RAM, Octa-Core CPU, IP68, Android 7.1, 4180mAh (Silver) to your Shopping Cart. The Blackview BV9000 Pro is one of China’s latest Android phones that comes with a fully rugged body. With its IP68 waterproof rating, this rugged smartphone operates in the toughest of environments. It is fully protected to water and is furthermore resistant to dust and drops. This makes your Android phone perfect to be used in the outdoors or in rough environments such as construction sites or factories. Even the display of this Android phone is extremely tough as it has been equipped with Corning Gorilla Glass 5. On this stunning screen, you’ll be able to enjoy your favorite media in crisp HD resolution no matter where you’re at. This latest Android phone runs on the Android 7.1 operating system. It is guaranteed to set forth a smooth user experience while letting you enjoy the latest software features available. With its Octa-Core processor clocked at 2.6GHz and whopping 6GB RAM, this smartphone is guaranteed to handle anything you throw at it. Whether it’s the latest Apps or the most demanding games – nothing is too much for the Blackview BV9000 Pro. This cell phone furthermore treats you to 128GB internal storage. Therefore, you won’t have to worry anytime soon about running out or storage for your files and media. With a whopping 4180mAh battery, this Android phone puts forth an unbelievable 27 hours of continuous usage time. You’ll be able to use this smartphone for days’ in a row without needing to recharge. This cell furthermore supports an unbelievable 28 days of standby time. From now on, you’ll be able to leave the home with confidence as an empty battery will be the least of your concerns. With its Dual-IMEI numbers and 4G support, this rugged phone brings along great connectivity. It furthermore supports OTG, NFC, and Bluetooth 4.2 for an enhanced user experience. For all photography lovers out there, it comes with a stunning 13MP Dual-Rear camera that lets you shoot HD video and breathtaking photos. The Blackview BV9000 Pro comes with a 12 months warranty, brought to you by the leader in electronic devices as well as wholesale rugged phones..